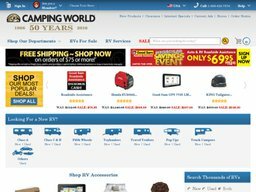 Camping World is a leading retailer of RV parts, accessories and camping supplies, and they also facilitate the sale of new and used complete vehicles. The company operates as a subsidiary of Good Sam Enterprises and sells its inventory through 100 plus retail locations, a mail order catalog, and online at CampingWorld.com. According to recent data Camping World makes over $1 billion in yearly revenue and employs over 2,000 people throughout its supply chain. Exclusions: Not valid on freight items, free-ship exempt items, returns, prior purchases, or express delivery. Other exclusions to the free shipping policy include items that have been excluded from our free shipping policy based on weight and/or size. These items are denoted as an exclusion on the item detail page. Details: Get Free Standard shipping on orders over $79 within the 48 contiguous United States. Exclusions: Excludes gift cards. Purchases must meet the minimum amount before taxes, shipping, and handling and after any other discounts are applied. Details: Get $15 cash-back For Online Purchases Of $150+! Purchases must meet the minimum amount before taxes, shipping, and handling and after any other discounts are applied. The business was founded in 1966 by David Garvin as a single store in Beech Bend Park, Kentucky. This was at the site of a large camp ground so a camping supplies store was the perfect fit. The business expanded by adding a mail order catalog that could be picked up at the store, allowing campers to continue buying supplies wherever they journeyed next. In 1997 the company was acquired by Good Sam Enterprises, who would go on to launched the online store. 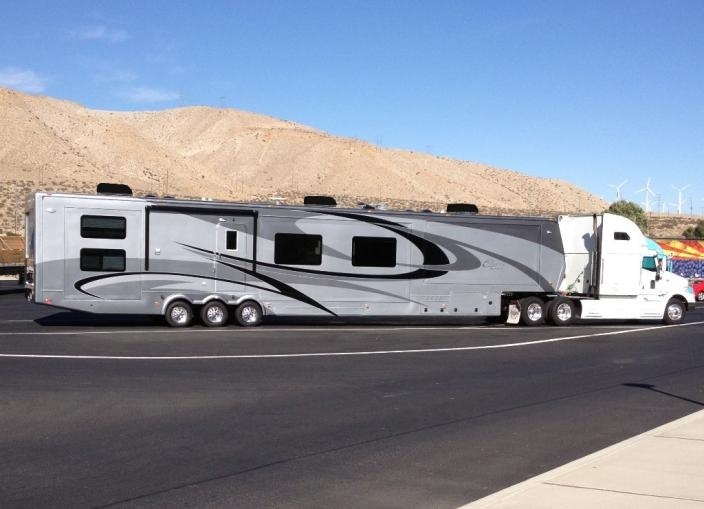 The website is easily organized in to categories for full RVs, RV Services, and RV parts. The latter covers: Heating & Air Conditioning, Appliances, Awnings & Shade, Bike Racks, Camping Products, Tailgating Products, Chairs & Lounging, Storage Solutions, Generators & Electronics, GPS & Satellite Solutions, BBQ & Food Prep, Fans & Venting, Indoor & Outdoor Necessities, Pet Supplies, Cleaning, Sanitation, and Towing. Some of the most popular RV brands that they stock include Fleetwood, Coleman, Itasca, Forest River, Jayco, Keystone, and many others. The RV Sales page includes brand new and used vehicles covering Class A though C, Camper Trucks, Pop Up Campers, Fifth Wheeled, Toyhaulers, Travel Trailers, and others. To find what you're looking for you can use a search function that allows you to select the type of RV, make, model, year, price range, and its proximity to you so you can buy locally. If you can get to a local Camping World facility they are happy to install any part or product you buy from them. According to Bizmart.com, they accept Diners Club. They also accept Bill Me Later. They do not accept personal checks or money orders. You can also enter in any coupon code you have on the checkout page. CampingWorld.com caters only to US and Canadian customers, with general shipping within the 48 contiguous states taking up to 14 business days. The cost of shipping is determined by the weight of your order rather than the value, starting at $11 for less than 2lbs, and reaching $30 for orders between 50lbs and 70lbs. Over this weight each pound is multiplied by $1.40. Camping World believes in value, quality and selection, so if you are not happy with your product, then you can always return it within 90 days of the original purchase date. Make sure to include a copy of the receipt and the item in its original condition. Further claims can be made to the customer support team, which will be happy to assist. @CJjeepdude Congratulations on the new ride Matt! @CJjeepdude Our vote's for the diesel!